Controversy and debate seems to follow glass blocks and glass bricks like a bad rash. Some people give them an enthusiastic Siskel and Ebert inspired two thumbs up. 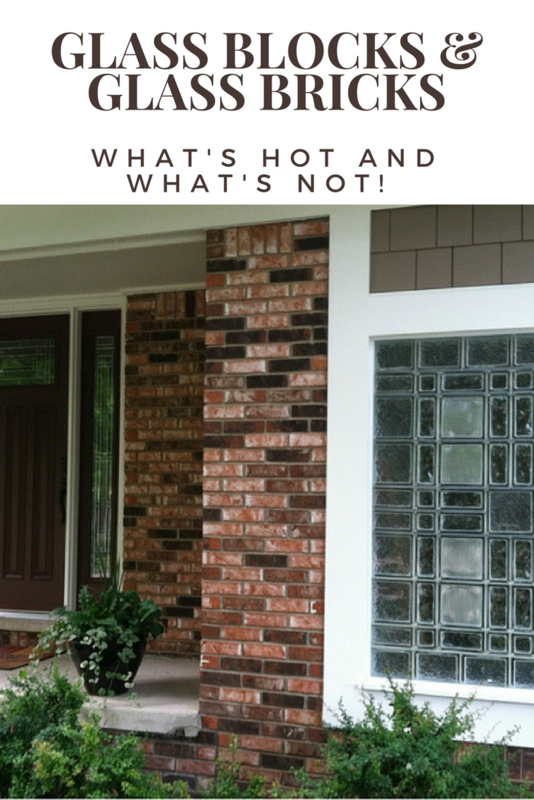 Others say – yuck – I wouldn’t put those 80’s glass blocks in my home if you gave them to me! As someone whose been in the glass block biz since 1985 (yes – I’m dating myself here but I like to tell people I started at the age of 11 – a BIT of an exaggeration but I’m going with it) it’s easy to see that building material trends are changing constantly and that has impacted how people feel about glass blocks. You see some stuff which was hot in the 80’s not being used any more. With glass blocks there are styles, product and installation systems which are popular today most people don’t even know exist. Most people think of glass blocks as one wavy 8” x 8” unit stacked on top of another. So, before you say whether glass blocks or hot, or not, read on to see what k options others are finding to be inspired ….and also what products and systems are just “old-school.” At the end of the article I’d love to know whether this post has changed your opinion or not.